Everyone has their favorite pancake recipe it seems. I’ve been tweaking my recipe for the past couple of months. I’m determined. Looking for an easy, filling breakfast that won’t spike your sugar? In our tiny space, no fuss is always on the menu and these Trim Healthy Mama approved pancakes fit the bill. I whip them up in a bowl with my immersion blender. Thankfully they are filling. 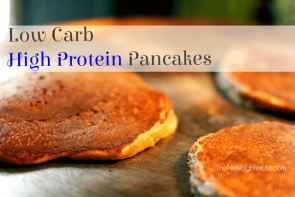 My kids can usually eat quite a few traditional pancakes but after 2 of these low carb high protein pancakes, they are full. 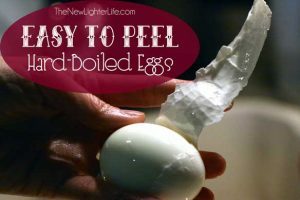 Add some scrambled eggs as a side to fill in any cracks. I use my favorite Swanson’s Protein Powder, (click here, to save $5 off your first order – that is my referral link) to up the protein. And if you’ve never had cottage cheese in your low carb pancakes, trust me when I tell you, you’ll never notice the cottage cheese. Make sure you don’t fry these pancakes too long or they get on the tough side. Still delicious, just a different texture. The keen (or not so keen) eye will see that I actually cooked my pancakes too long in that picture above – you don’t want them that dark. I’ll be the example. For my family of 6, I double this batch. Blend all the ingredients in a blender, (I use my stick blender). Pour scoops of pancake batter onto a medium hot griddle. Fry until bottom is lightly browned. Flip and repeat. Serve with Stevia Maple Syrup or make your own from Gwen’s Nest. This post has been linked up at Stacy Makes Cents and Gwen’s Nest for Trim Healthy Tuesdays. I might be a little obsessed with peanut butter and cream pies lately. Since I haven’t figured out how to healthify my Peanut Butter Coconut Balls, I decided to figure out a Trim Healthy Mama approved Peanut Butter Pie. Who can blame me really? Living in the Florida heat, in a camper, the oven is my enemy right now. So this peanut butter pie is the perfect end of summer dessert. 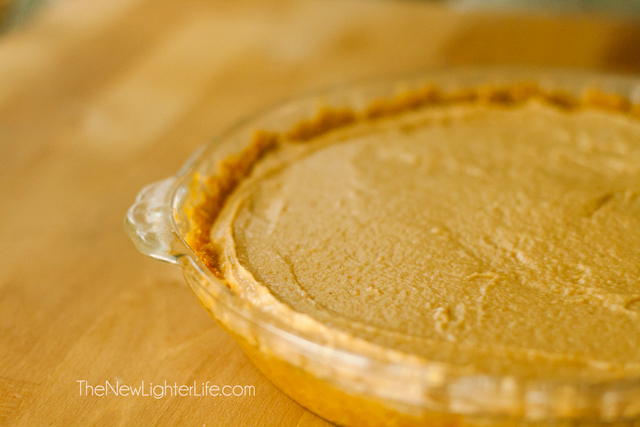 Previously, I had shared my Grain-Free Peanut Butter Cookie recipe but I’ll share it again since it is the crust of this pie. 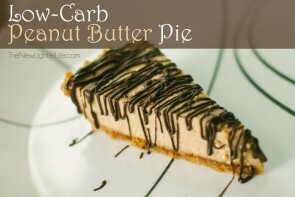 Make 2 peanut butter pies. Use half the cookie dough for the crust and bake the other half into cookies. Or you can crumble up the baked cookies and press them into a pie pan (no need to bake the crust again). For the filling mixture, I use powdered erythirtol, you can use truvia, or xylitol too just make sure you powder it (I grind my in an old coffee grinder) or it will be gritty. The chocolate drizzle provides a perfect balance of flavors, so don’t skip it, please. 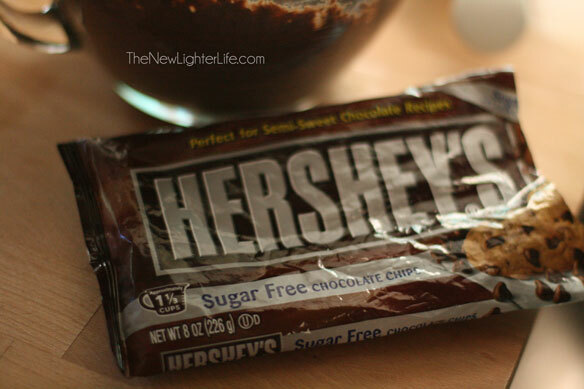 I use Hershey’s sugar-free chocolate chips, but use what you like. 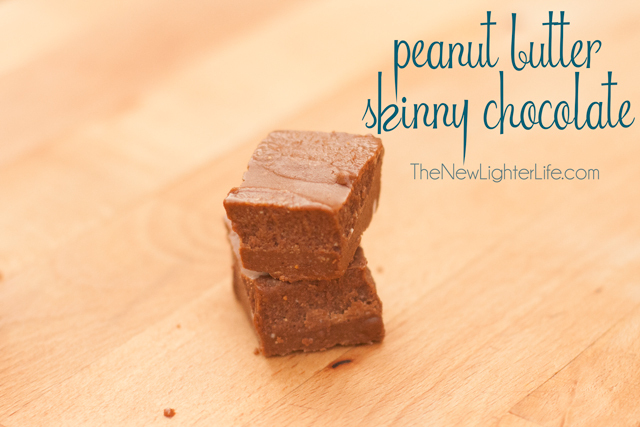 For Trim Healthy Mama, this recipe is a HEAVY S. It’s decadent, rich and sure to satisfy a peanut butter craving with just a small slice. Preheat the oven to 375 degrees. Mix the peanut butter, xylitol, egg & vanilla. 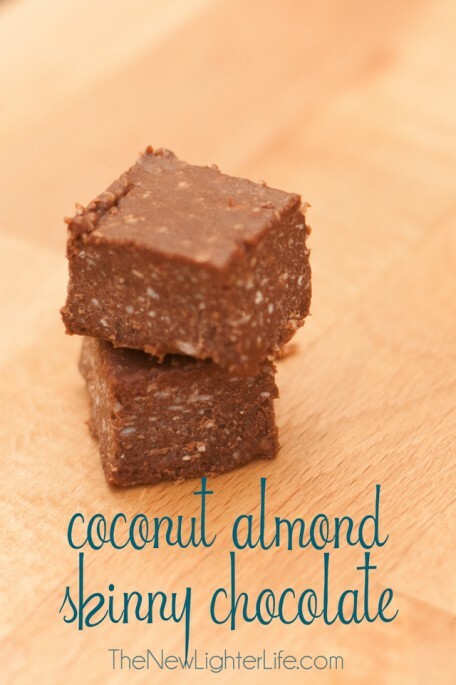 Add almond flour, salt and baking soda and stir until throughly mixed. Press half the cookie dough into a greased pie plate. Bake for 12 minutes or until lightly browned. 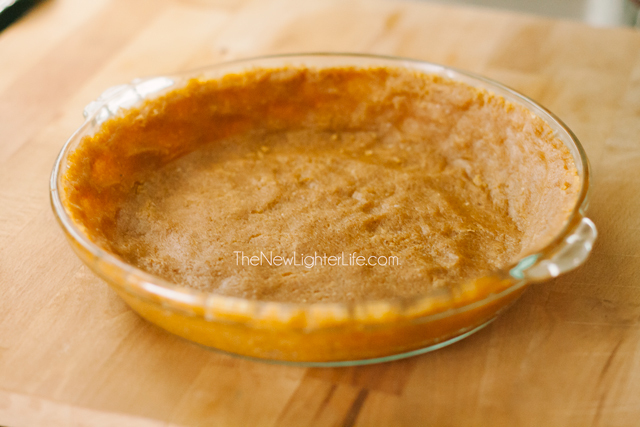 Let crust cool and transfer to refrigerator to speed up process. Once crust is thoroughly cooled, mix the cream cheese and powdered erythirtol well until thoroughly blended. Stir in the peanut butter, vanilla, salt, & whipped whipping cream. Mix until well blended and same consistency. Pour into cooled cookie crust and freeze for at least 2 hours. 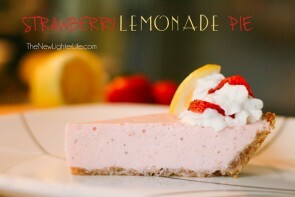 It is best to cut this pie directly out of the freezer and store in the refrigerator. 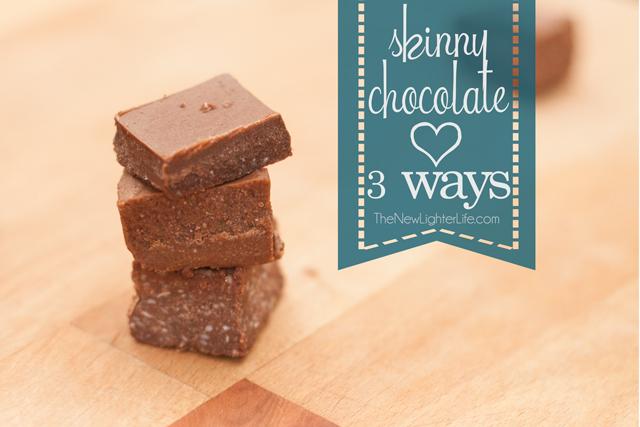 Melt the chocolate chips with the 1/2 tsp of coconut oil and stir. Drizzle chocolate over top. 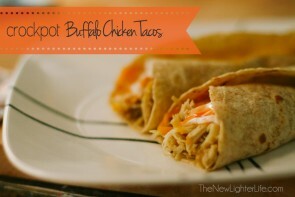 This recipe has been linked up for Trim Healthy Tuesdays at Stacy Makes Cents & Gwen’s Nest. Today I’m sharing with you how to make Peanut Butter Cookies that are low-carb, no sugar and completely healthy. 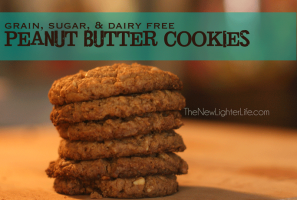 These peanut butter cookies are Trim Healthy Mama approved for a (S) Satisfying treat.